It seems the more efficient our offices become, the harder it is to get any creative work done. The big idea, the breakthrough require an entirely different kind of environment. One of solitude and peace. A place completely different from your standard “modern” conference center. The peaceful and unique surroundings of the Outing give the change of pace necessary for your team to make those deep connections that can result in new and stimulating ideas. In the summer your “break-out ” room can be the garden or a walk in Pine Point Park. In winter, couches in front of a roaring fire. All meals and snacks are designed to offer healthy, organic, and local ingredients, with European taste, yet in a very easy-to- plan way. Dinner is usually served in a quiet, candle lit dinning room. 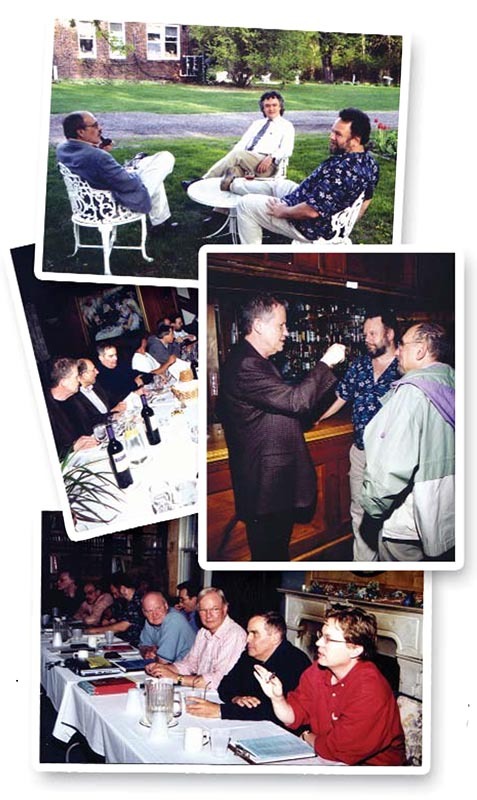 For almost 30 years we have hosted many Twin Cities companies and organizations’ retreats. Day meetings can range up to 100 guests, with overnight accommodations for 7 (single occupancy) to 10 guests (double occupancy). Rates are per person and vary according to the size of the group and seasonally. Please, call our main line to set a time for a tour or to receive a quote.Extra overnight accommodations available at short distance from the Lodge. No food service included. Restrictions apply. *This option is valid for up to 20 guests events, and it is not valid for subleasing to external caterer, combined with vouchers or discounts. Damage deposit to be determined and contract required. **This offer does not apply to weddings or other large events. Seven rooms with beds for up to 20 guests, 5 hour /day access to our commercial kitchen to prepare meals. Bed linens, towels, bedroom amenities- 1 shift. Each year, the symposium tackles another of physics’ enduring puzzles: the nature of the vacuum, the concept of a field, the meaning of time. 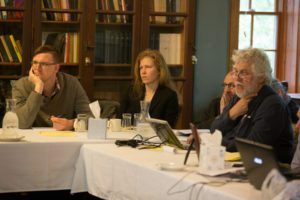 The aim is not to resolve the mysteries but to seed new lines of inquiry, says Roger Stuewer, a historian at the University of Minnesota, Twin Cities, and founding chair of the symposium’s advisory board. “When we get the best people together,” he says, “ideas are planted that in some intangible way will influence what they do in the future.” Those germinating ideas are watered with a mellow Zinfandel and nourished with succulent steak.